Or is that my head? Originally inspired by Carpe Diem #732 “A bell at sunset” but when I saw #735 I thought, what a perfect fit! We battle every spring. 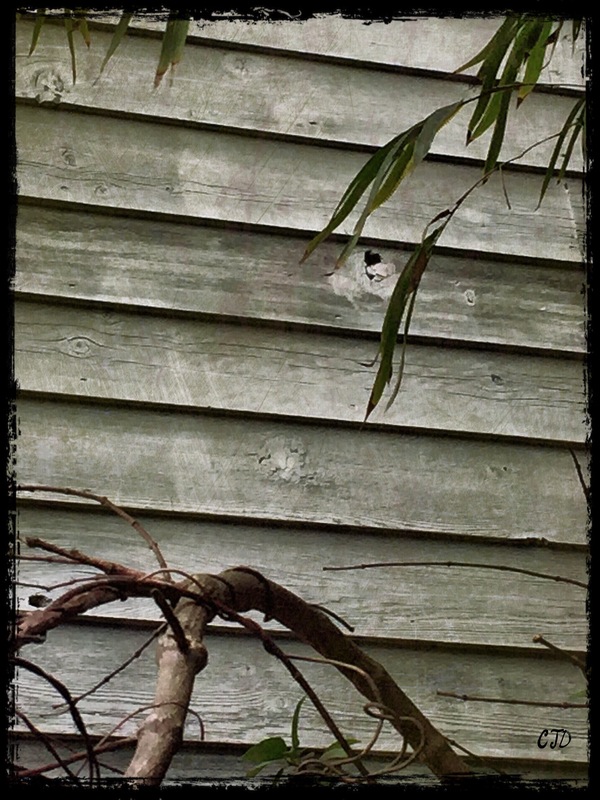 They love to pull the knots out of my siding, especially the third story – what a perfect place to nest! I have a Supersoaker water gun that I fire up to humanely encourage them to go somewhere else. Ouch – what a racket that woodpecker must make. The jackhammer sound reverberates throughout the whole house. If my head doesn’t hurt when they start, it does by the time they’re done. I live in Australia. We don’t have woodpeckers over here. The sound must get really annoying. I’d call them worse than that, even, Christy!